Claiming is divisive. On one hand, perhaps nothing in the sport of competitive surfing has been the recipient of greater scorn as when surfers try to eek out an extra tenth of a point on a mediocre wave with an emphatic claim. It’s like a soccer player trying to draw a free kick by flailing in feigned-agony to the pitch. On the other, surfers are athletes and in the heat of passion it’s only logical their inhibitions might fade, resulting in unrepressed joy and limb flailing. We refuse to pass judgment here, but the reality is probably somewhere in the middle of those two ideas. 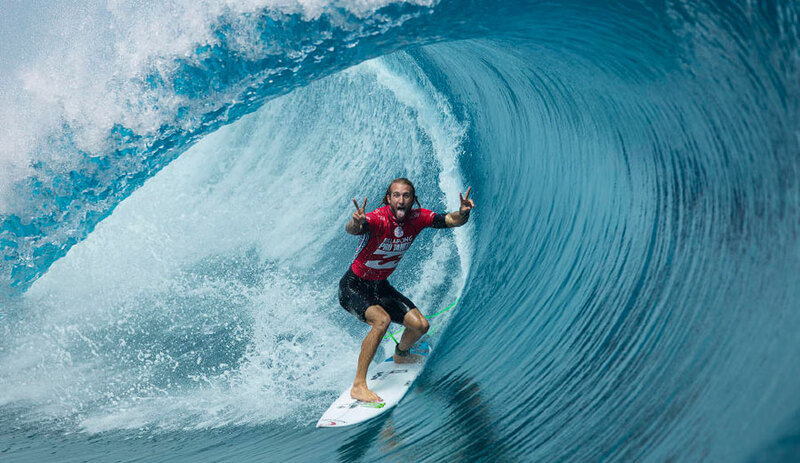 Whatever the reason for a claim, it’s become an endemic element of professional surfing – somewhere between the touchdown celebration in football or the flop in fútbol. Give @surfclaim a follow here.